It used to be when someone said “Facebook” – people instantly thought of “status updates”. Or that trademark blue color. Or funny pictures from your friends. But these days, the latest news headlines have a lot of folks instead thinking words like “invasive” and “no privacy”. I’ve said it before but I’ll repeat it here. The only way to truly remain private on Facebook…is to not be on it at all. That’s not just true of Facebook, that’s true of all things Internet. You just never know where your photo might one day show up, so if you don’t want it everywhere – don’t post it ANYwhere. Okay, fine. But what to do when someone posts a photo of you on Facebook? And – what if they tag you? Even worse, what if it’s a horrible photo that you never want any of your friends, parents and prospective employers (trust me, they ARE looking) to see on your profile? 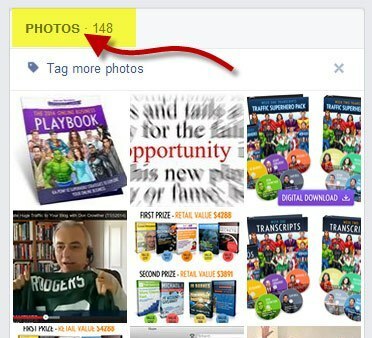 Locate the ‘offending photo” and click on the pencil that appears in its upper right corner when you hover over it. 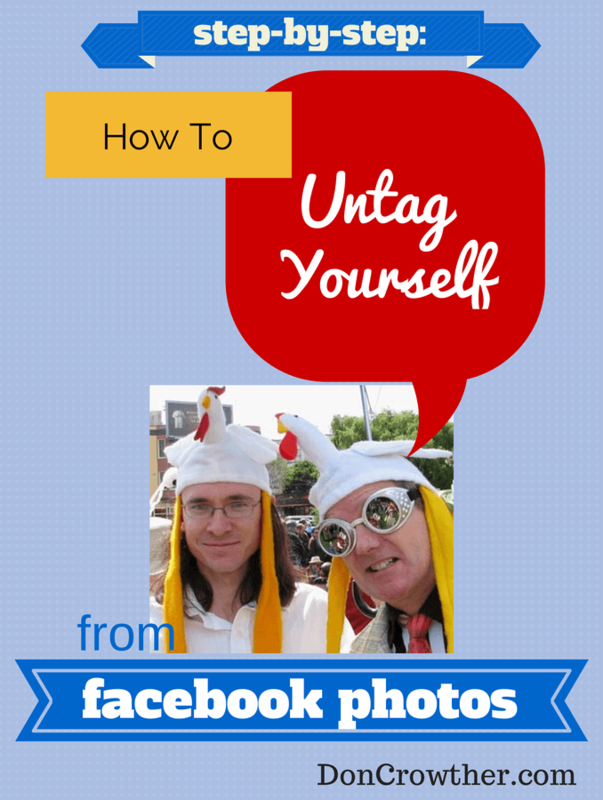 In the box that appears click the box for I want to untag myself. You can also request to have this photo removed from Facebook if it’s inappropriate. Click Continue and presto! No more photo tag. 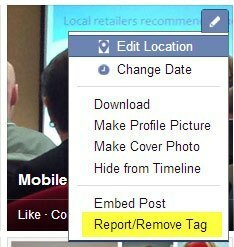 Action Step: I recommend you check your images at least once a month to make sure that you’re happy with the images you’re tagged in. Got any horror stories of inappropriate tagging? 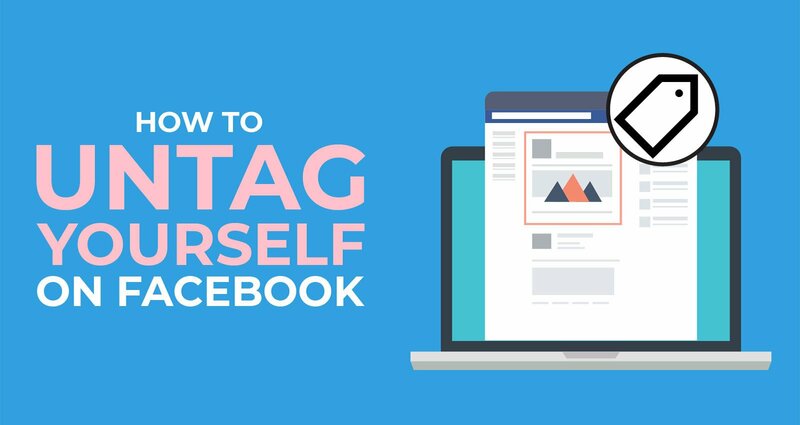 How do you decide when to remove photos that have tagged you? Let us know by leaving a comment below. And don’t forget to Share, Like, +1, Tweet and Pin this post! 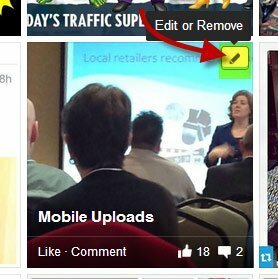 How To Turn Your Social Media Into a List-Building Machine! Are Your Facebook Fans People or Bots? Don Crowther is a leading marketing, business strategy and online marketing expert. He helps companies ranging from Fortune-500-level giants to entrepreneurs make more money online using proven strategic and marketing techniques.